This post is a bit overdue but here is me giving a thumbs up after performing my last event of the 18-19 holiday season. It was a great season with mostly good weather in December and half of January before it got bitter cold. 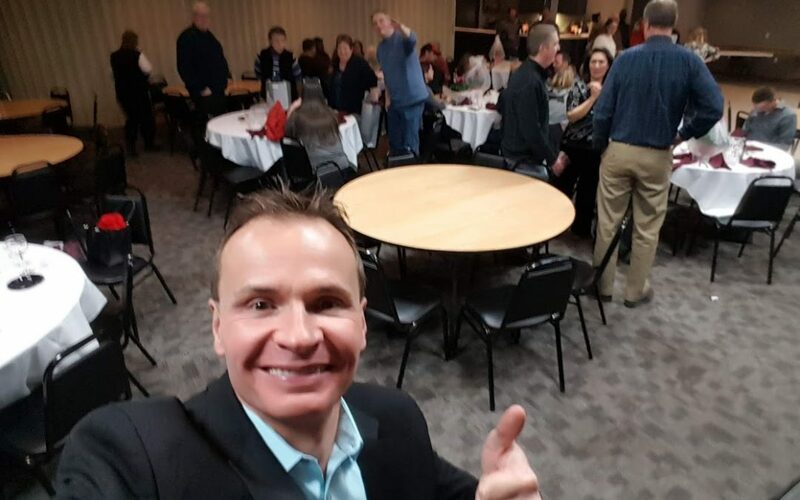 This season took me all over Minnesota, Wisconsin, Iowa, and South Dakota performing magic at company year end and holiday parties. The most popular package is definitely the platinum package that combines a hour of strolling magic during the cocktail or social hour and followed by the stage show after dinner. After the season I took a trip out west to Colorado and performed magic in the Gondola at Keystone. I will post some pictures of that soon. Have a good night!